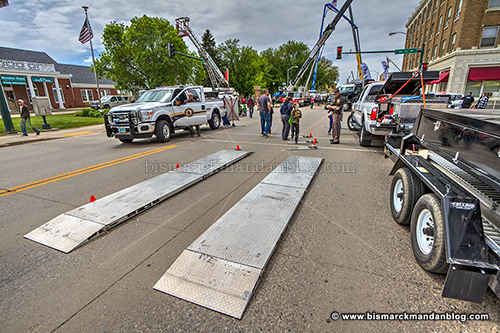 Last weekend Main Street in Mandan was home to Touch a Truck, put on by the Mandan Progress Association. 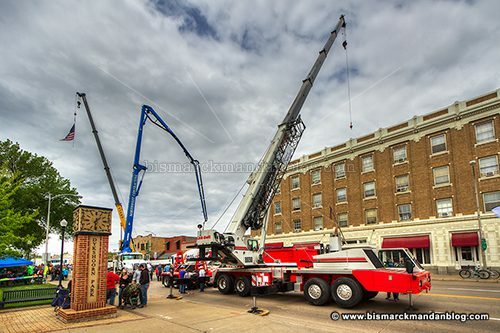 If you were coming into Mandan from the east and didn’t know what the heck the DOT sign flashing “TOUCH TRUCKS AHEAD” meant, your confusion probably only lasted a moment until you saw all the crane booms up ahead. 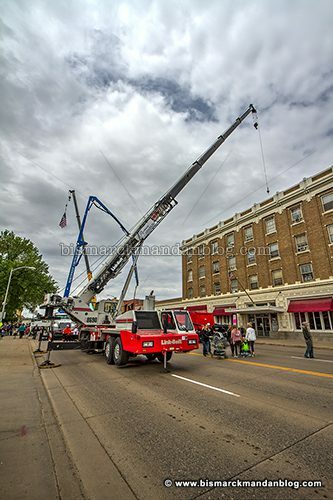 There were all kinds of trucks and various other equipment, with the cranes being the most prominent. 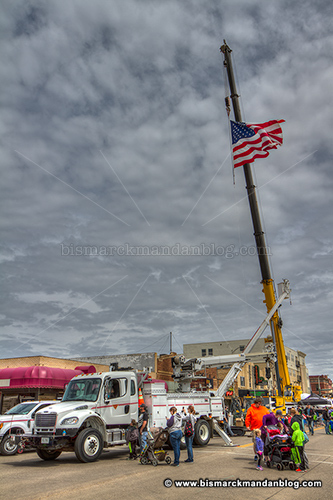 There were road striping trucks, sanitation trucks, bucket trucks, the works. Of course, one doesn’t have to be a piece of heavy equipment or possess hydraulics with super powers to be an awesome truck. 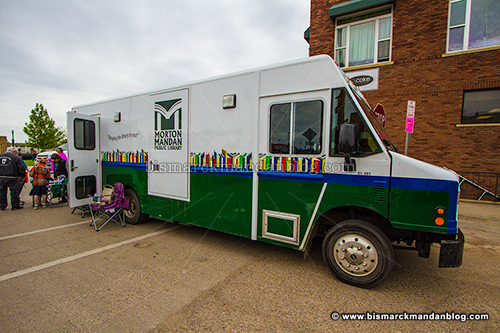 The Bookmobile was there, too. And it looked like it was getting a lot of attention from the kids. See the giant crane? Well, each of the four hydraulic cylinders holding it in the air is fed by a trio of the tiny little metal elbows you can see me pointing at on the left. Crazy. 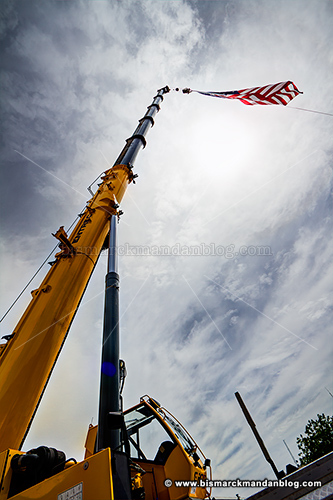 My favorite thing about the cranes, how they hoist Old Glory. 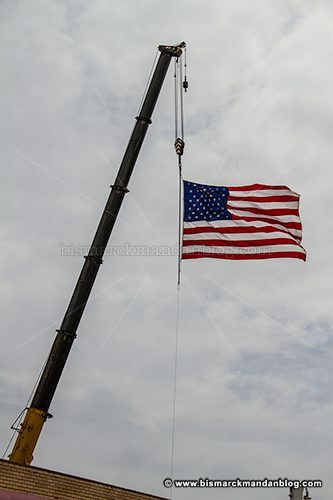 The colors were on display and waving in the breeze. 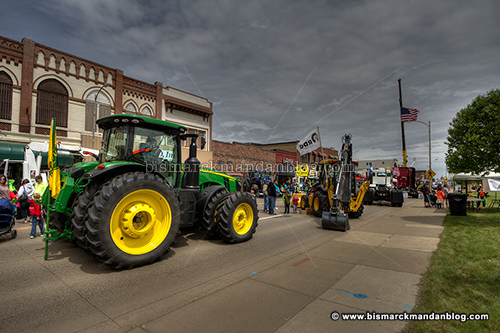 Tractors and other big equipment was present as well. 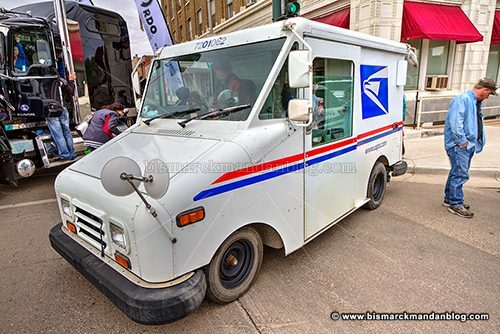 They may not have air horns like some of the other trucks, but they have plenty of stuff to climb on and buttons to push. 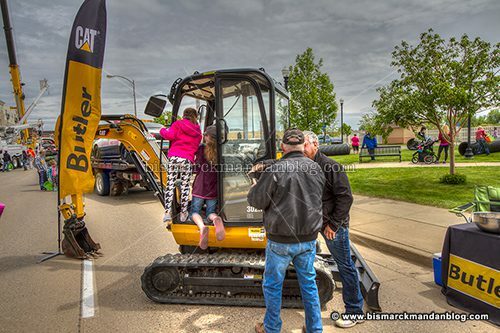 Then there were the mini excavators, which were a hit. I think there was a line to see them at one point. 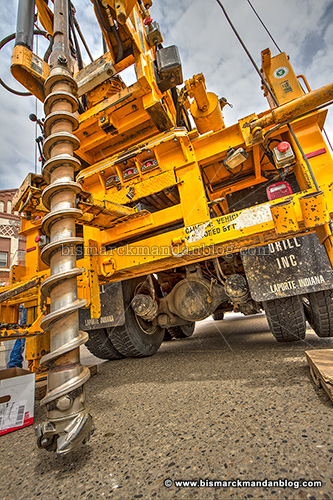 This is only a drill. There, I did it. You can’t stop me. My kids don’t think I’m funny either. 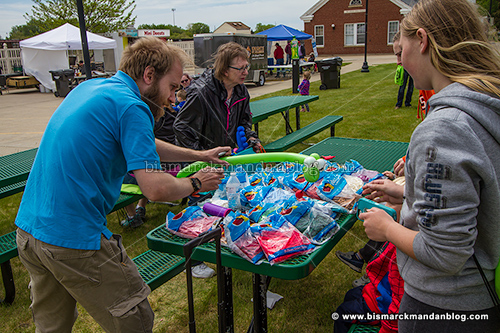 Balloon animals were available, or in the case of my kids balloon swords. Guess how long those lasted before popping in battle. En garde! Another attraction that amounts to playing in the box the toy came in: These sections of conduit were a hit with the kids, who climbed in and promptly insisted their parents roll them around on the grass. Yes, I did it too…rolling, not climbing inside. 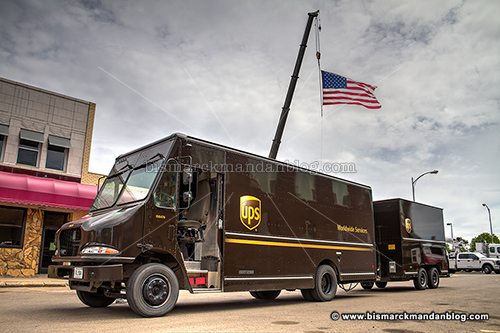 These guys are heroes every time I place an order with B&H or Amazon.com. Note the flag in the background. I never get tired of shots like this. 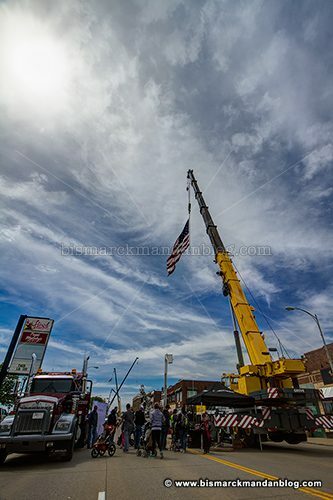 The weather was perfect, the skies cleared enough to give me a sunburn by the end of the day, and the breeze kept everything comfortable and the flags waving. 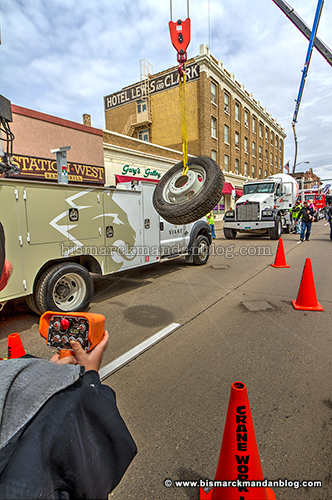 One time my kids saw me running camera for a monster truck show, getting closeups of giant trucks doing wheelies and burnouts. The next day my wife took them to watch me on a rooftop, shooting video and stills of a helicopter doing touch-n-go’s on a helipad. When I was tucking them in, I asked if they thought their Daddy had a pretty cool job. “Yeah,” was the reply, “But did you know that Uncle [my brother-in-law] is a mailman?” He’d subbed in our neighborhood and let them walk his route with him for a bit, totally stealing my thunder. 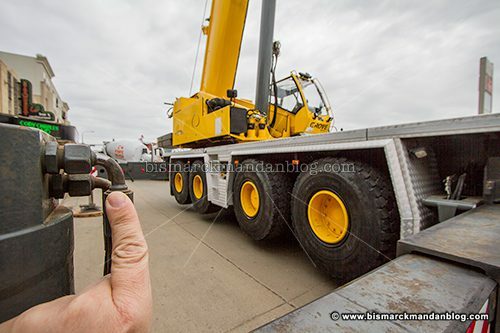 It’s a small crane, but the kids got to operate it…lifting and moving a small load using the tethered controller. This gives a whole new meaning to the term “Boom town”, doesn’t it? I just made that up right now as I’m typing. Seriously. I bet I could set off these scales nowadays…I need to bike more and shovel less food into my head. But when I keep coming up with things like blueberry ice cream float recipes, that isn’t very easy. Actually, these scales did weigh my kids, so they don’t just work for heavy things. 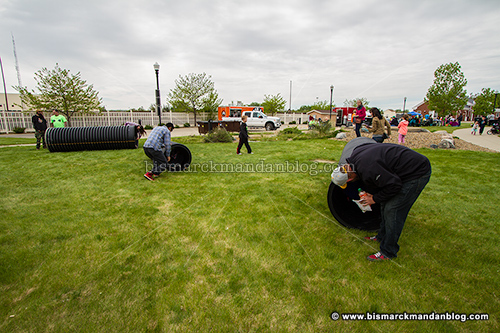 This was a fantastic event, with lots of fun for kids and big kids. I sure hope they do this again next year! I may bring ear plugs next time, though, because they let the kids tug the air horns in the trucks. It was a wonderful cacophony, don’t get me wrong, but they get pretty loud! This entry was posted in Cool, Events, Vehicles by Clint. Bookmark the permalink.